Northwind Group, a real estate owner-operator based in Manhattan, has big plans to expand in the senior and health care space — particularly in core urban markets. The company recently acquired a portfolio of seven skilled nursing facilities and one 110-unit assisted living community in Ohio and northern Kentucky. The total acquisition price of that deal was $182.5 million. Northwind has targeted the senior housing sector for some time, Eliasaf told Senior Housing News, and it’s looking to grow its presence in the industry over the next five years. The company aims to acquire at least $1 billion in senior living, assisted living, skilled nursing, and other health care-related real estate over that timeframe. All of the properties in the most recent transaction are operated by Carespring Health Care, a Loveland, Ohio-based operator with 12 locations in Ohio, Indiana, and Kentucky. Northwind has been involved in the acquisition, development, and management of real estate valued at over $2 billion, but the portfolio marks the firm’s first entry into the skilled nursing market. The buildings have an overall occupancy figure of 92%, and were was sold by “a large institutional owner,” according to Northwind managing partner Ran Eliasaf. He declined to name the previous owner. KeyBank underwrote and closed a $132.7 million financing deal that facilitated Northwind’s acquisition, with senior banker Henry Alonso and senior relationship manager Jonathan Slusher leading the deal for KeyBank Real Estate Capital. Institutional Property Advisors served as Northwind’s advisor on the deal, with Josh Jandris, Mark Myers, and Charlie Hilding handling the transaction. 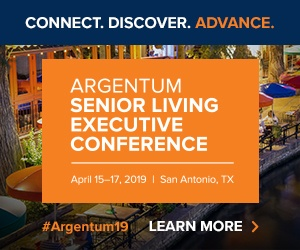 As it pursues further growth in senior living and skilled nursing, he company is “mostly looking in cities like New York, in Manhattan, where we think there is a huge demand,” Eliasaf added. Northwind has formed a joint venture with Carespring to develop more properties together — and given the operator’s experience in the space, those facilities will likely end up being SNF projects, Eliasaf explained. While Northwind is looking at several different potential states for future health care real estate acquisitions, what’s going on inside the properties is the primary factor in any potential transaction. “What really drives us is the quality of the properties, but more importantly the quality of the operators,” Eliasaf said. The $1 billion will likely end up split evenly between assisted living and skilled nursing, though that number isn’t set in stone, he said. The numerous headwinds in the sector have ranged from regulatory changes to reimbursement pressures, and this has forced operators to adapt. The fact that challenges in the sector have been present for an extended period of time, however, has allowed Northwind to see how well operators have rolled with the changes.